Many stores allow you to add more contributors to manage your apps. This is recommended if you are more than one developer in your team (or for debugging). In order to add a new user to your Dev. Console you need to login and click on the “Settings” tab. 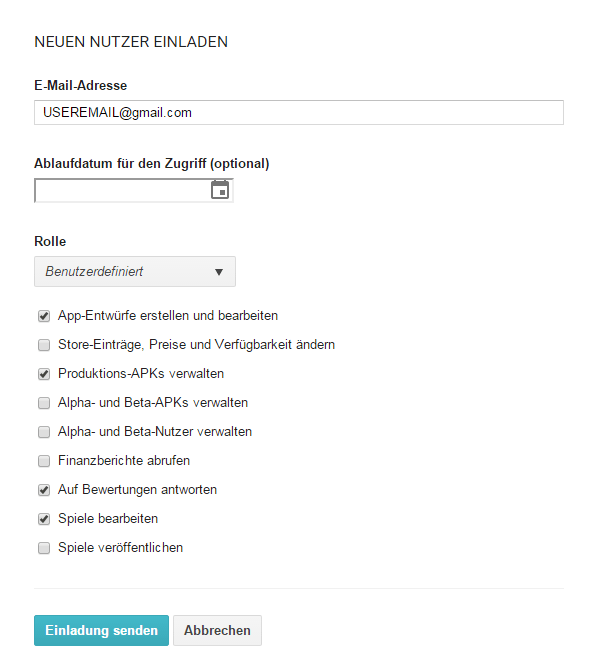 Then click on “Invite new user” (“Neuen Nutzer einladen”). Now set the user role for the inserted email address and send the invite.